Doc's Jag is a 72 xke that came to us with a worn out 302 and a t-5. The car had been sitting for about eight years. We went through the whole brake system replacing it all. 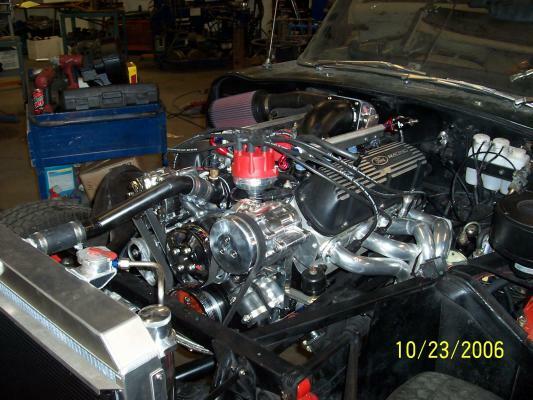 The engine was upgraded with a 347 stroker. It was outfitted with Edelbrock aluminum heads. A Ford B-303 camshaft for a good idle. 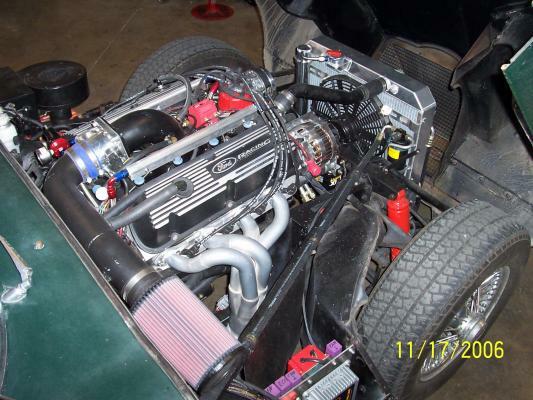 A Bones fabbed custom EFI manifold set up. 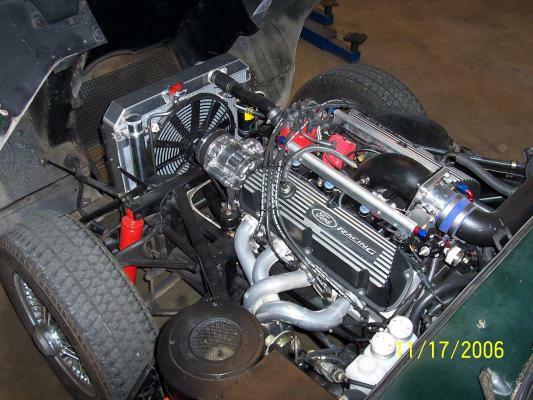 We used a Holley Street dominator manifold modified for efi. 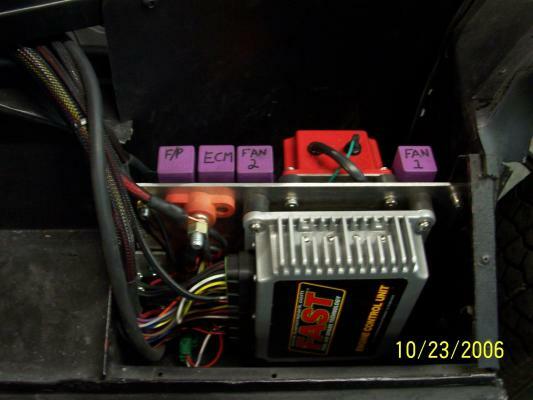 The engine is controlled with a FAST wide band box. This set up all fits under the factory "bonnet". We chose the Vintage Air Front Runner set-up. The package is cooled by a Ron Davis radiator with a Spal fan. Backed by a world class t-5 with a Centerforce clutch.